College students and their families tend to focus on scholarships and grants when seeking help with the sky-high cost of higher education, but there’s a less-publicized avenue that may be hugely beneficial: tax credits. The Internal Revenue Service (IRS) says two tax credits -- the American Opportunity Tax Credit (AOTC) and the Lifetime Learning Credit (LLC) may provide a benefit for students attending an eligible college, university, or vocational school. The credits may apply to the taxpayer, a spouse, and dependents. A tax credit is more beneficial to a taxpayer than a deduction. A tax deduction reduces the amount of income on which the taxpayer pays a tax. 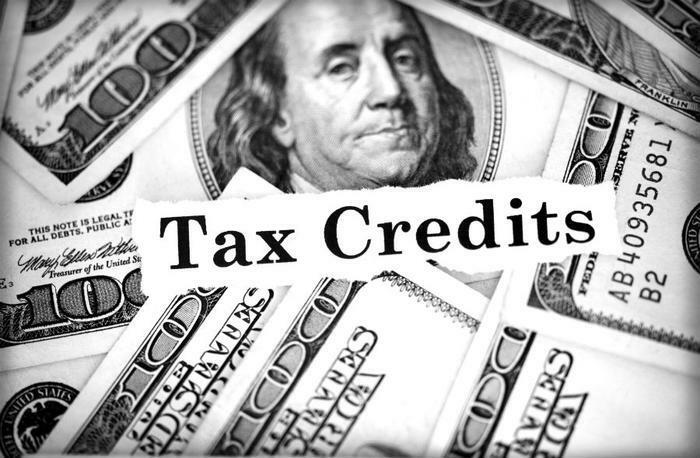 A tax credit is subtracted from the amount of money a taxpayer owes. The American Opportunity Tax Credit, can knock up to $2,500 off a taxpayer’s tax bill for each eligible student, but it can only be claimed during a student’s first four years at an eligible school. Taxpayers can even use it for a student enrolled in the first three months of 2018 as long as they paid qualified expenses in 2017. The Lifetime Learning Credit, (LLC) provides a credit of up to $2,000 per tax return. It can benefit both graduate and undergraduate students. The chief difference between the AOTC and the LLC is how it is applied. Taxpayers with more than one eligible student can claim the credit for each one. But the LLC applies the $2000 limit to the single tax return, no matter how many eligible dependents are attending school. The LLC benefit is not limited by degree programs. It is available to students pursuing a course of study to maintain or improve job skills. Unlike the AOTC, the LLC is available for an unlimited number of tax years. To claim either the AOTC or the LLC, taxpayers should use IRS Form 8863 (Education Credits). Not every student will be eligible for these tax credits. To claim the LLC, a taxpayer's modified adjusted gross income must be $65,000 or less, or $131,000 for married taxpayers who are filing jointly. If you are in the upper tier of those limits, you will not receive the maximum amount of the tax credit. If your income is too high for the LLC, you might consider the AOTC, which has no income limits. However, there are other eligibility requirements. To receive the AOTC, you must be working toward a degree or other recognized education credential and be enrolled at least part time for at least one academic period that begins during the tax year. You must also be within your first four years of school. You must also have a clean record when it comes to illegal drugs -- you can't have a felony drug conviction at the end of the tax year and still get the credit. According to financial website Motley Fool, these education tax breaks are valuable and often-overlooked. It notes that even consumers who don't qualify for the tax credits can use the tuition and fees deduction, reducing taxable income by up to $4,000.